TSLAWCET/TSPGLCET – 2017 Applications should be submitted only through ONLINE mode. The Registration fee for online submission and late fee, if applicable, may be paid at TS Online Centers/Citizen Service Centers, e – Seva Centers in T.S. and also through payment gateway (Credit Card/Debit Card). TSLAWCET – 2017 : RS. 350/- (Rs. 250/- for SCs/STs). TSPGLCET – 2017 : RS. 600/- (Rs. 500/- for SCs/STs). The TSLAWCET/TSPGLCET – 2017 examination will be held at the following 12 Regional Test Centers in Telangana State. The Candidates for 3 year LL.B. should have passed any Graduate Degree (10+2+3 pattern) of a recognized University with 45% of aggregate marks or any other examination (10 +2 + 3 patter n) recognized as equivalent by the Universities concerned. If any candidate secured less than 45% in graduation he should have passed any additional graduation or post graduation with 45%. A Candidate appeared/appearing for the above qualifying examinations may also apply for TSLAWCET – 2017 (LL.B. 3 YDC) in anticipation of results. In case of such students, their admission shall be subject to the passing the qualifying examination and their securing eligible marks in the said qualifying examinations. ii) The percentage of 39.5% and above in aggregate in graduation in case of candidates belongs to SC/ST category and 44.5% and above in aggregate in graduation in case of candidates belongs other categories will be considered as 40% and 45% for admission in to LL.B 3 year course. 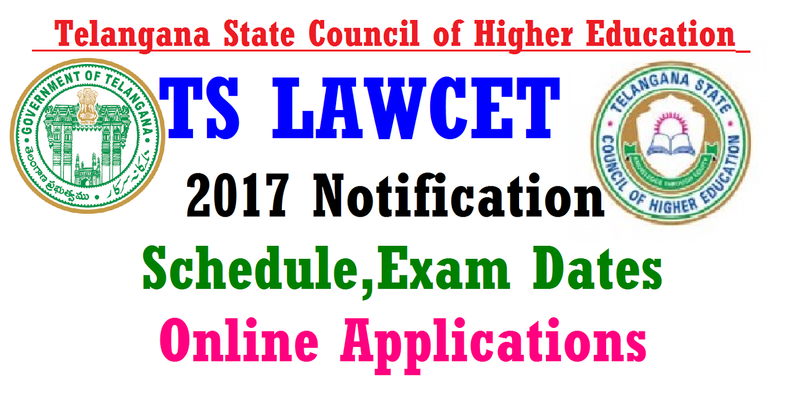 A Candidate appeared/appearing for the above qualifying examinations may also apply for TSLAWCET – 2017 (LL.B. 5 YDC) in anticipation of results. In case of such students, their admission shall be subject to the passing the qualifying examination and their securing eligible marks in the said qualifying examinations. ii) The percentage of 39.5% or above in aggregate in Intermediate (10+2 Pattern) in case of candidates belongs to SC/ST category and 44.5% or above in aggregate in Intermediate in case of candidates belongs other categories will be considered as 40% and 45% for admission in to LL.B 5 year course. Age f o r admission: As per the conditions stipulated by the Bar Council of India in this behalf, v i d e B C I L r . N o . B C I : D 1 5 1 9 (L E : C i r - 1 6 ) d a t e d 1 7 - 0 9 - 2 0 1 6 , the maximum age limit for a candidate seeking admission into the 3 year LL.B Course shall be 30 (Thirty) Years (relaxation by five years in case of SCs/STs and other Backward Communities) and for 5 year LL.B. course shall be 20 (Twenty) years (relaxation by two years in case of SCs/STs and other Backward Communities) as on date of issue of notification for entrance examination. Note: Age limit mentioned above is challenged in Hon’ble Supreme Court of India in W.P.No.1023/2016. Hon’ble Supreme Court imposed stay through an interim order on the above notification of BCI which imposed the age restriction in to Law Courses. Hence, there is no age limit for appearing TSLAWCET – 2017 for seeking admission into 3/5 year courses. However, the admissions into the law courses shall be subject to the outcome of the pending case.  The qualifying percentage of marks in the Entrance Test i s 35% (i.e. 42 marks out of total 120 marks) There will be no minimum qualifying mark for S.Cs & S.Ts for ranking. i. Appears for Counselling at the notified Centers for certificate verification. ii. Applies in response to the admission notification issued by the authority concerned (Web Options). b) The Candidates seeking admission into LL.M. (Private Appearance) of Osmania University, Hyderabad shall have a minimum experience of 3- years as a judicial officer or 3-years standing as an advocate on the date of appearing for TSPGLCET-2017.